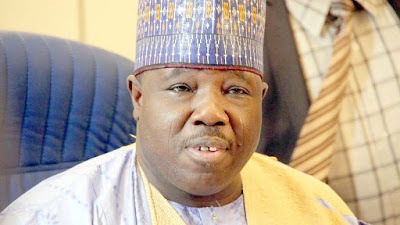 Over 14,000 Peoples Democratic members and supporters of a former national chairman of Peoples Democratic Party, Ali Modu Sheriff, have defected to the ruling All Progressives Congress. This is even as APC announced that it would commence reconciliation visits to the state chapters of the party in the South-South geopolitical zones on Sunday, towards strengthening the party for victory in the 2019 general elections in the region. The over 14,000 former PDP members were received by top members of the APC led by National Vice Chairman of APC, Mr. Hilliard Eta; Delta State leader of the party, Olorogun O’tega Emerhor; Minister of State for Petroleum, Dr. Ibe Kachukwu; and the state chairman of the party, Prophet Jones Erue, among others in Agbor. Speaking during the ceremony, PDP former National Vice Chairman (South-South), Ojougboh, said since the Supreme Court judgment which ousted the Sheriff faction, the Ahmed Markafi national leadership had refused to reach out to them, hence their resolve to leave.